Conor is a consultant with the international law firm Hogan Lovells (where he was a partner between 1998 and 2014), practising exclusively in contentious and non-contentious aspects of computers and communications law. In the 1980s he worked as development programmer at IBM United Kingdom Laboratories. He also qualified as a barrister. He is the chair of the Cloud Industry Legal Forum and is also a Visiting Industry Senior Lecturer in the Centre for Commercial Law Studies, Queen Mary University of London. 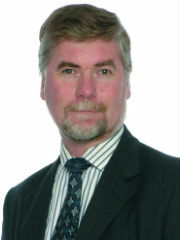 Conor is recognised in both Chambers and the Legal 500 legal directories as one of the leading IT lawyers in the UK.